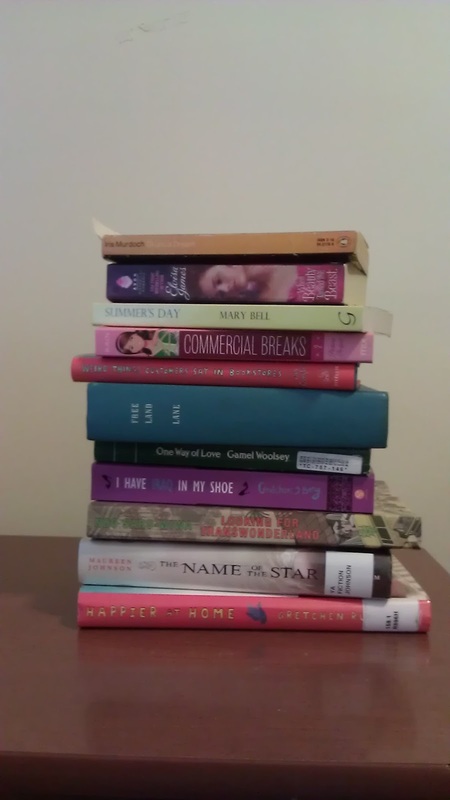 I like to have a lot of choice in my reading material which is eclectic and perhaps why I fail at having a YA blog. Don't get me wrong, I love YA but I cannot live on one genre alone. I do not except that I will get through all the books in either pile or both piles and there are many books that are not in the pile that I might read instead but I figured I should at least try and have some method to my madness. These piles might have been amassed sort of randomly too so that is why they are subject to change. So anyway this is Pile 1 the Pile that I hope to get to. No the books are not straight because really why would I do that? Anyway since you can't read them they are from bottom to top. Travels with Zenobia: Paris to Albania by Model T Ford - Rose Wilder Lane and Helen Dore Boyleston (yes she of the Sue Barton books fame) - I am on a Rose Wilder Lane kick right now. Exiles from War - Jean Little - These two I went through a Dear Canada phase earlier this year and these are the only two that I still have. This is a little more diverse and reflective of my reading habits. The Name of the Star - Maureen Johnson - I hear the sequel is out now so I am of course just getting around to this! Looking for Transwonderland: Travels in Nigeria - Noo Saro-Wiwa - Once upon a time I wrote a thesis on oil and corruption in Nigeria. I am still interested in Nigeria. Weird Things Customers Say in Bookstores - Jen Campbell - I'm a librarian someone needs to come up with weird things patrons have said to librarians. When Beauty Tamed the Beast - Eloisa James - also if that doesn't work I have another Eloisa James and a Julia Quinn I haven't gotten to. Plus the stuff on my Kindle including Bitterblue. 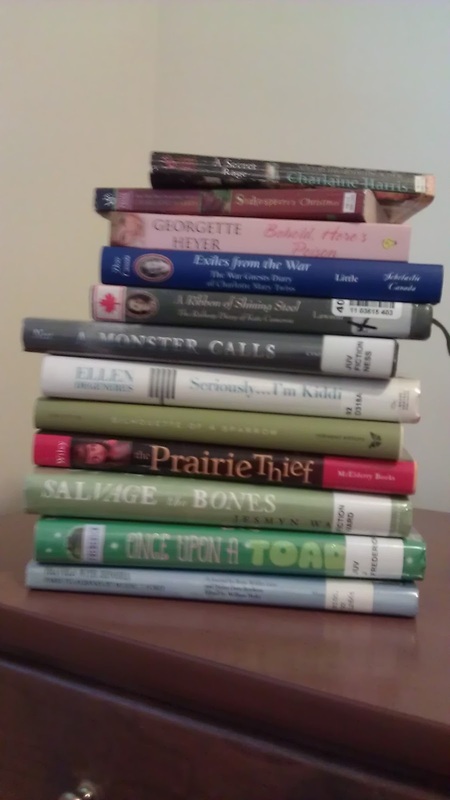 I change my mind a lot too, so it's great having big piles to choose from on Read-a-thon day. Good luck with your reading tomorrow!